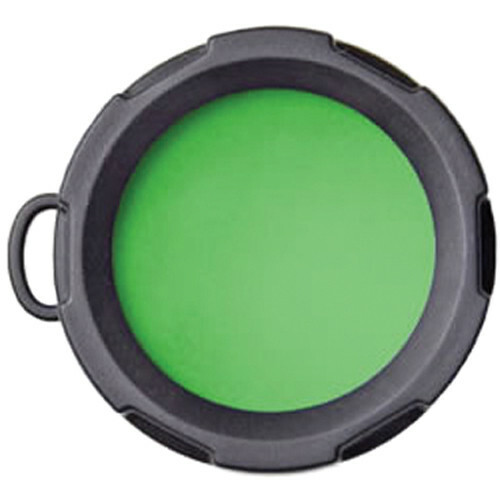 A green filter is ideal for hunters and fishermen because it is a very soft light that will not alert the game. However it is brighter than all the other colors, which makes it easier for navigation and it also makes it easier for others to see you. Green light also does not attract insects like white or yellow light does. 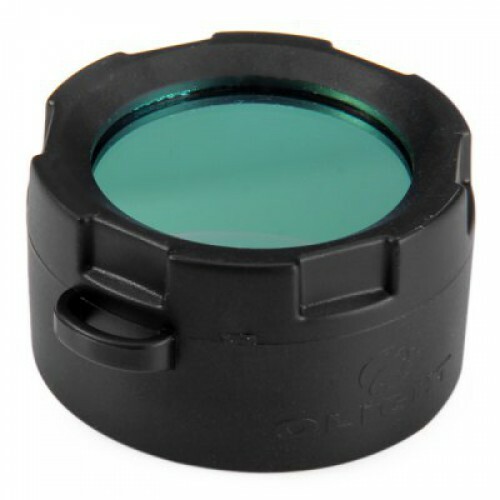 Green filters are also used with night vision equipment because it is not easily picked up, unless looking directly, which makes it useful in covert operations. Green light is also helpful in smoke or fog filled environments, and for night time map reading. This filter is designed to fit with the Olight S10, S15, S20, M10, M18, M18 Striker, S10R, S15R, S20R LED flashlights.